Discussion in 'Creations' started by Noxite, May 31, 2017. 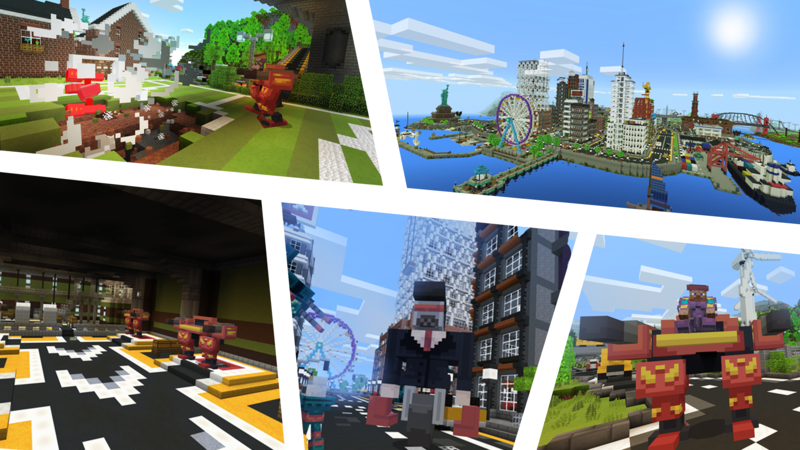 One of our first maps for the Minecraft Marketplace on Pocket Edition and Windows 10 Edition! You’re a prisoner in an underground military lab when one day you wake up to an explosion creating a hole in your cell. The entire facility is in ruins, it looks like a battle broke out and you just missed it. On your way out you find a chamber with a gigantic robot named ‘Destructobot 5000’; the key to your escape. You exit out into the countryside to discover that the neighbouring lands and the nearby city has been taken over by some sort of army of robo-aliens. 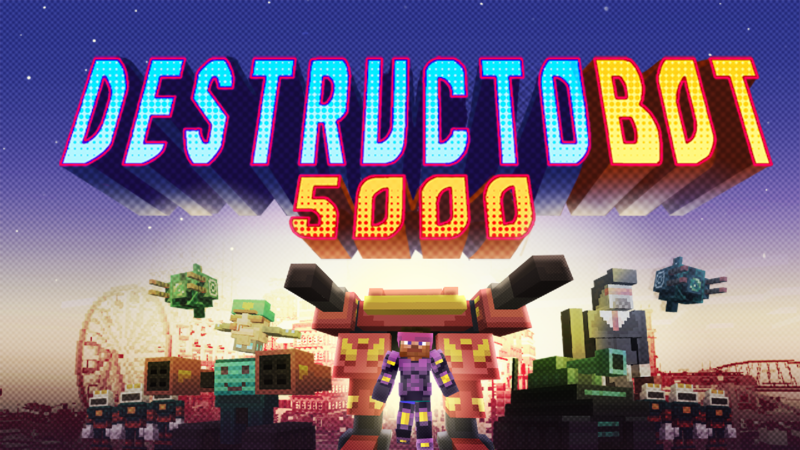 It’s time to show them who’s boss in your brand new explosive suit of armor; ‘Destructobot 5000’ and take down their Robot Generals in an attempt to save the world. 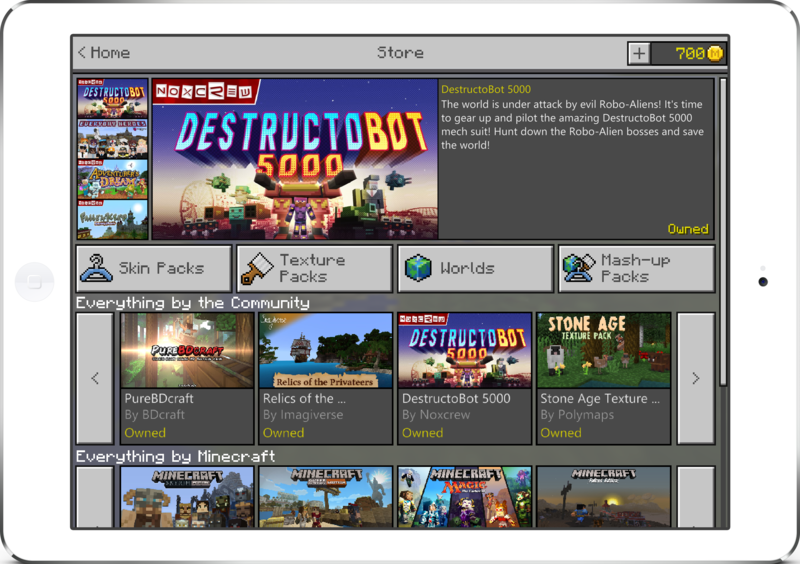 Grab your weapons and hop on your new DestructoBot 5000 mech! Try versus mode to determine which of your friends is the best DestructoBot 5000 Pilot! When trying to find the map on your phone. Please make sure you have more then 512MB internal memory (RAM) free. 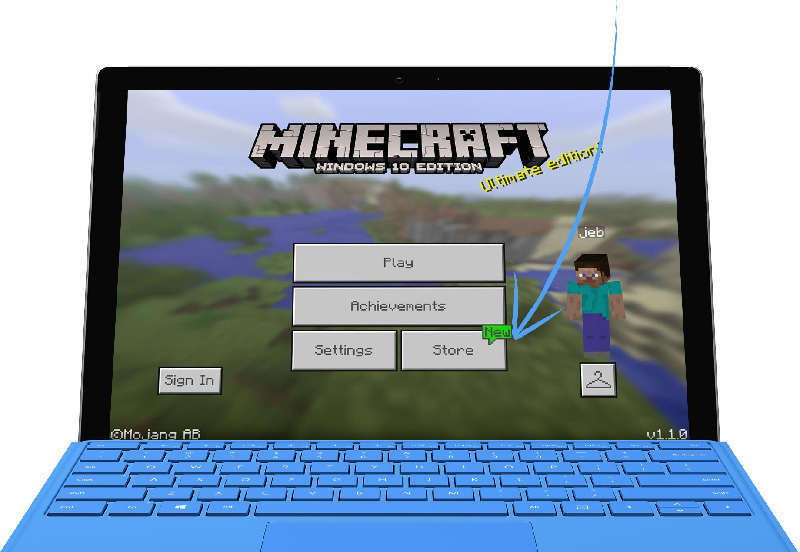 You can clear your memory by closing down apps in the memory settings menu, or you can reboot your phone and then only start Minecraft Pocket Edition. Make it for Pc and mac I would love to record on it! Seriously though, this looks amazing and I'll probably buy it in the next 3 weeks or so. Can't wait! Avondale, Noctis and MeWulf like this. I filmed and played the map today, and I just want to say my thoughts about it now. It lagged for me a lot, but that may have been because I was filming and on multi-player, because it ran fine when I was alone. The bosses were really cool and I'd totally replay the map. I did have a few issues with bosses not spawning properly and the lag was unreal in some areas, and I'm not sure why at all. I'm also not sure if you're meant to get anything when you beat all the bosses, but even if you don't it was still really cool. Also the filming didn't go well because the third episode crashed so I had to refilm but I'd totally play it again, minus the lag. Great map, 8/10. Thanks for the review otherwise. Can I ask what device you were playing the map on? Thank you! I'm on a Samsung Galaxy tab A. I ended up re filming it in single player in one video instead of three and it turned out much better! I think the main reason it was lagging was probably because my friend I was with was a little bit too trigger happy XD. EDIT: Here's the video here. I can understand if you don't want to watch the whole thing but long story short, it was the the best adventure map I've ever played for MCPE. Thanks for making it! Why do the robots keeps saying Chinese firedrill? It's one of their multiple status messages, you must be getting some hilarious randomizing!